The headlines never change, and the problems stay the same. Taxes keep increasing. Inflation keeps rising. Economic booms are followed by the inevitable bust. It’s impossible for working families to get ahead by following the typical financial advice. What’s more, the current financial system is set up to benefit banking institutions, not you! In Banking With Life, you will learn that you can take control of your financial future by turning the banking equation in your favor. 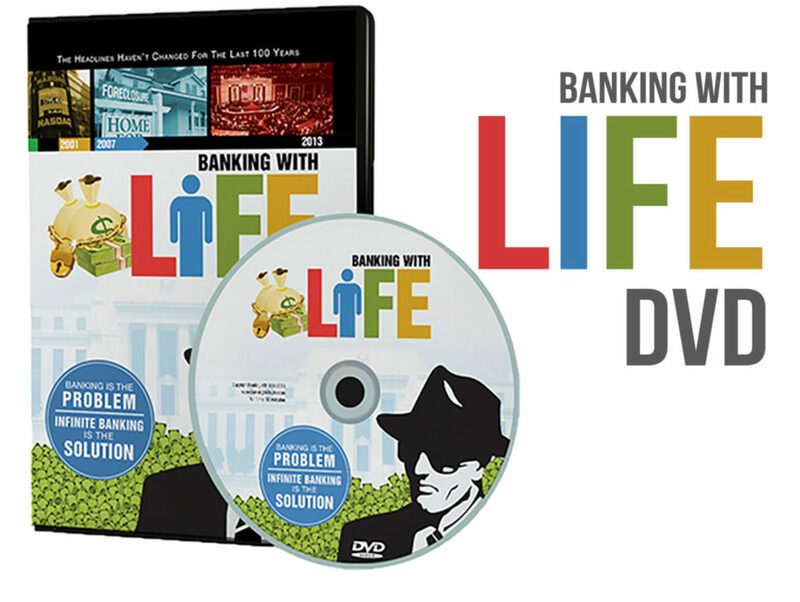 You can literally Become Your own Banker, and it is easier than you think. The Infinite Banking Concept is a proven system that has been around for many, many years. How the Federal Reserve and Commercial banks are destroying the value of the dollar. Why a tax-qualified retirement plans are really just an I.O.U to the I.R.S. What the Infinite Banking Concept is, and how anyone can use it to win the financial game by default.